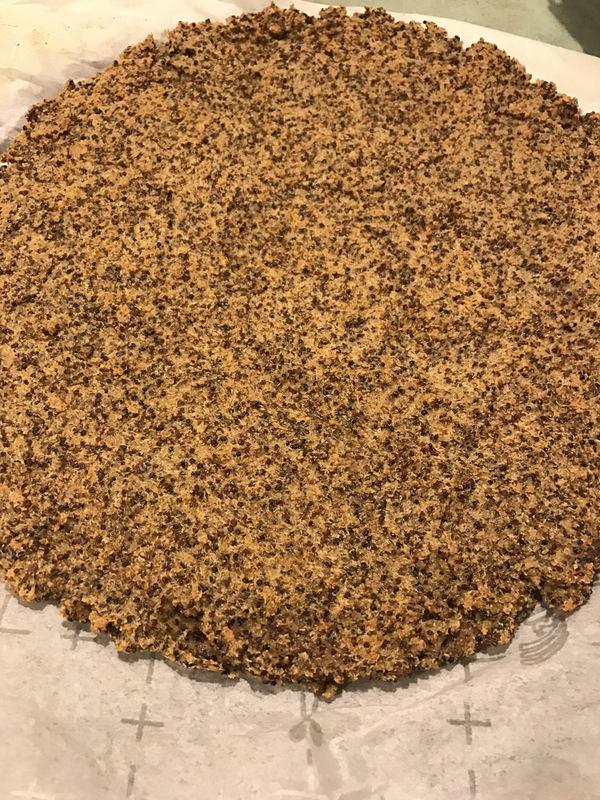 To make the crust I used a 12 oz box of Quinoa 10 min. rice cooled, 1/4 cup of olive oil, 1 tsp. of baking powder 2/3 cups of water, 3 tsp. of Flax seeds and 1 tsp. of kosher salt. You basically blend it all together in a food processor. Once done, it will be gummy and you will press it out on parchment paper over a pan and brush that with olive oil. I cooked it for nearly 40-45 min. to get it like crust. I did flip it over about 25 min. in. 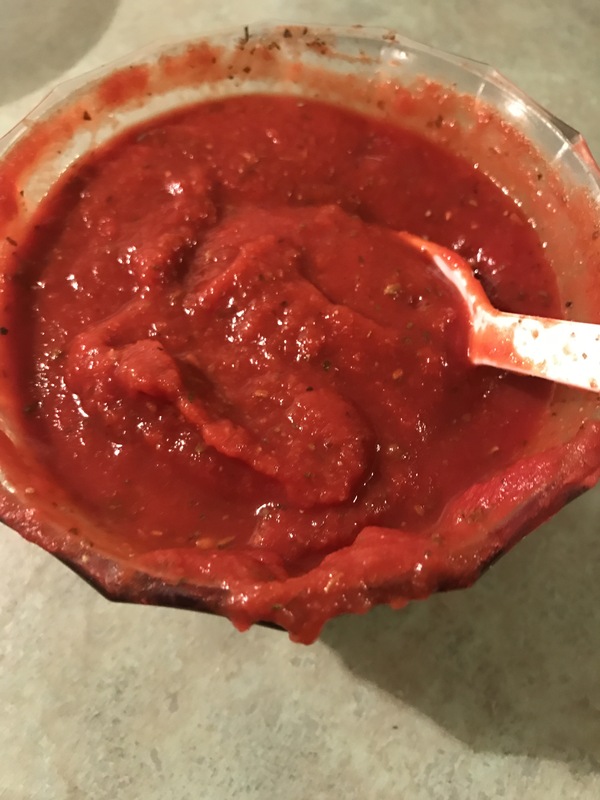 For the sauce I used a 8 oz can of tomato sauce and half of a small can of tomato paste along with a few dashes of oregano, Italian seasoning a pinch of salt and garlic powder to taste. Once crust is ready add sauce, about 2 ounces of cheese of your choice and toppings (I did fresh Spinach and a all white cheese mix), put your pizza back in oven for about 10 min. and enjoy!